This is the ‘Baby’ of the family, designed mainly for herbs. It’s 19 x 19 x 19 cm, so you could have a row of different herbs, particularly as it’s probably best to grow them separately. 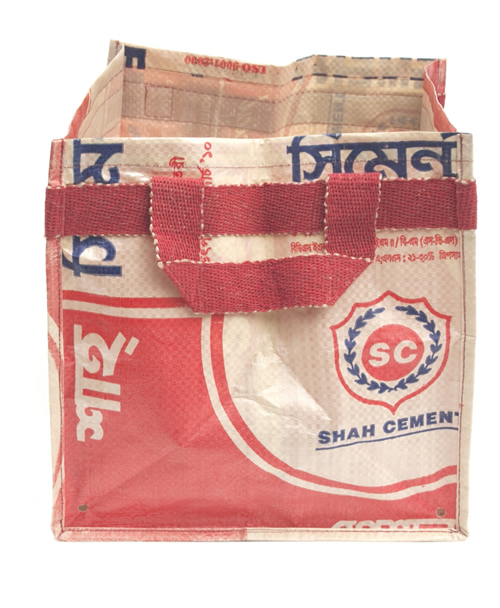 These little planters, made for us out of recycled cement bags by ladies in Dhaka, can be taken indoors – but remember they have holes for drainage. Here is the family’s teenager, which could be ideal for tomatoes. It’s 29 x 29 x 29 cm, so you should be able to fit it into lots of different places, just squeeze it into any small, sunny spot. I love the smell of growing tomatoes, and you could put one or two of these planters right outside your patio door or window. 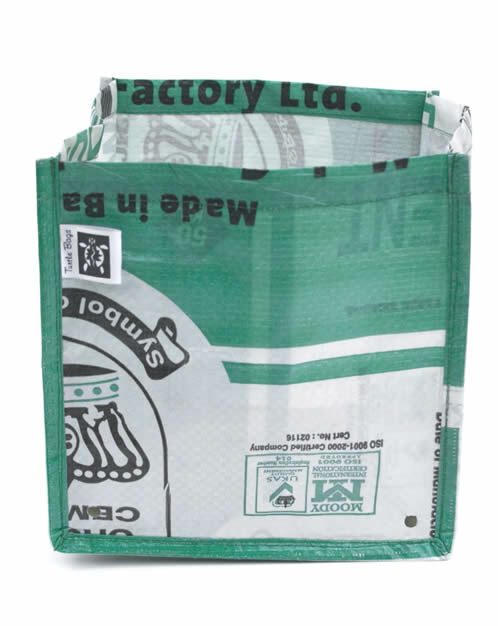 The ladies in Dhaka also make these out of recycled cement bags, and we include some tomato growing instructions. Here’s the family’s grown up, which is designed for potatoes. 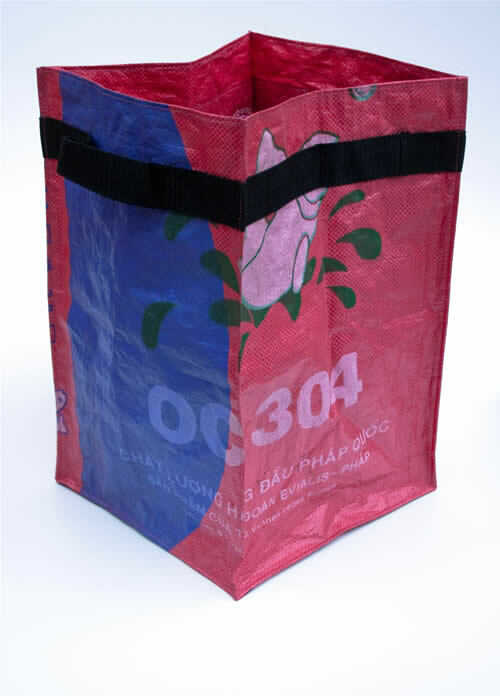 Ladies in Cambodia make these Planters out of recycled fish feed bags, isn’t it amazing how many things can be recycled if you try ! You know, it’s so difficult not to get mad sometimes – so sometimes I really do ! 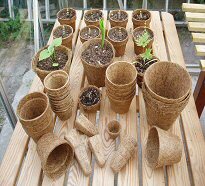 Anyway, as we try to do with our biodegradable pots, Beth and her company are not simply just sitting down and reporting on the misery these young girls and young women endure, they are doing something about it ! As with the programme in Bangla Desh, there is no charity involved though. hey make good useful things, we buy them, and they get a secure, living wage. Although perhaps they also get other stuff too, stuff that we take for granted. You know, dignity, respect, equality, security and freedom from fear. Grow Herbs, Tomatoes and Potatoes on your Patio or Balcony. Drainage is taken care of, and the two larger Planters have sturdy handles to let you lug them around. These planters could last you years, and they are lovely and cheerful even before your plants appear.